Your personal blog gives us an insight into the many different ways a project can go. 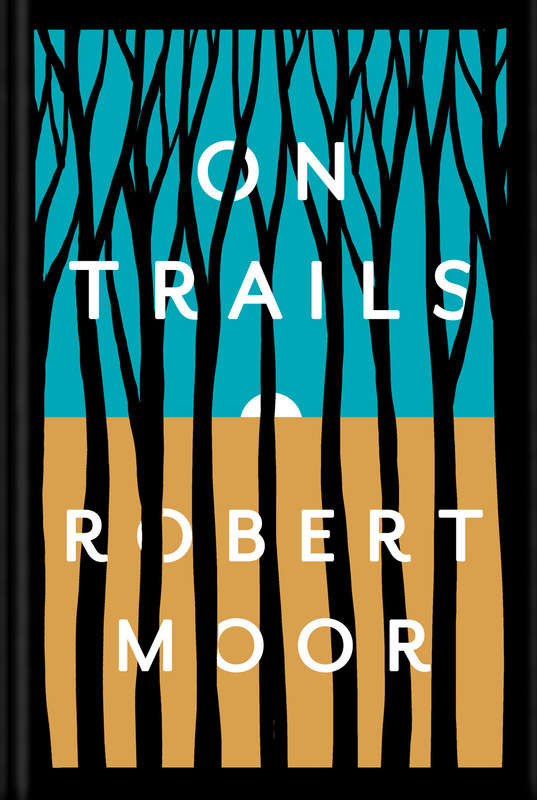 You have three on Robert Moore’s On Trails and the final design, is different yet again. How many sketches will you do for an average cover design? On average I tend to do a lot (probably too many? ), especially for the first round. I might start out with 5 or 6 basic concepts and then explore a few color and lettering options for each, so the first PDF I send to a client might be 20 pages long. Some art directors like to have a lot of slightly different options to choose from, while some prefer a more edited-down selection, so I'll take that into account as well. I think this impulse comes from my experiences working in-house, where a lot of projects culminated in laying out 15 slightly different typeface options on a conference table and taking a vote. Showing a wide array of options can help pre-empt a lot of back-and-forth, and increase the chances of getting a quick approval. On the other hand, it also runs the risk of burnout. Being asked for "a few more ideas" can be terrifying when you feel like you've already tried everything. 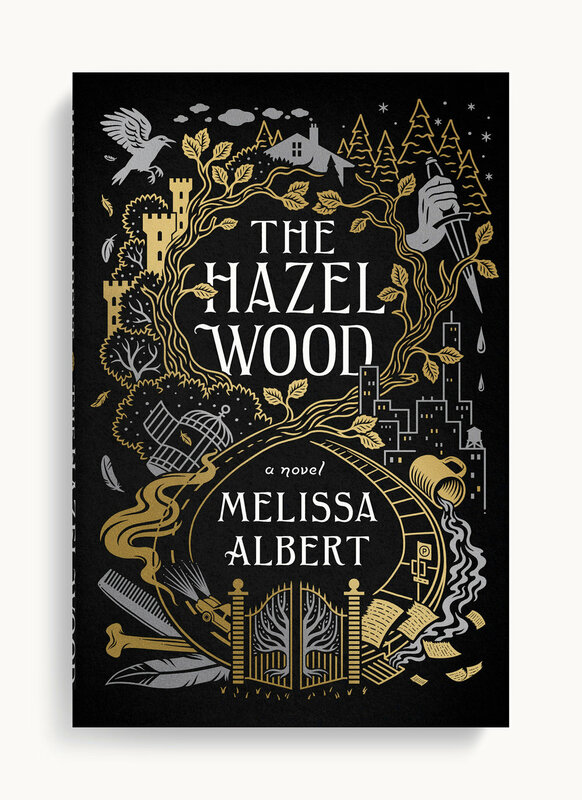 When I looked at your designs and here I’m thinking about The Hazel Wood by Melissa Albert, art direction by Keith Hayes, I kept thinking about when I was young and reading The Boys Own Annuals at grandma’s house. They were great tomes of books harkening back to yesteryear and filled with games, stories and activities to do. 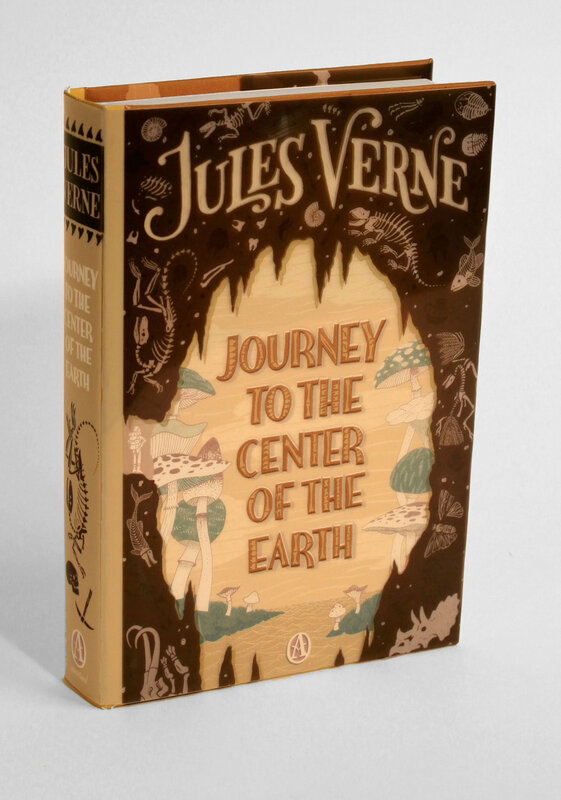 I looked them up and sure enough, the editions I remember listed Jules Verne as one of the authors. 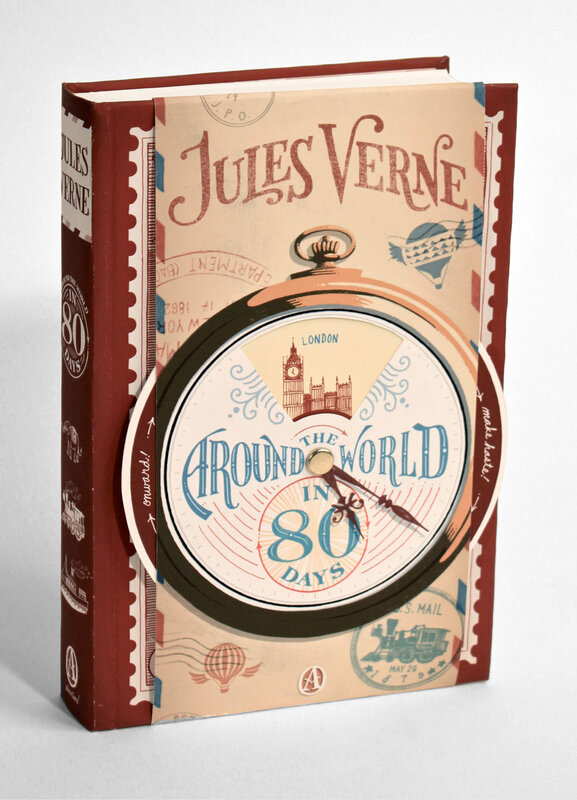 You also did a very fine series of books as objets d’art using Jules Verne’s books. How much of an influence is Verne on your work? Jules Verne was a huge influence on my early work. His original French covers - dripping with gold ornaments and navigational icons - strike just the right balance between sophisticated and cheesy. I went to school for illustration, where there was a lot of focus on developing a personal "style", so when I chose to repackage 4 Verne covers for my thesis project (2010), my goal was to give them a distinctly modern look without losing the extravagant sense of wonder that radiated from the 19th century covers. This was my first project to get any kind of attention online, so most of my early freelance career was based on this kind of "Victorian maximalism". Over the past few years I've made a very conscious effort to push my work in more versatile directions and become a more well-rounded designer. While I obviously still enjoy whipping out the swirls and swashes when appropriate, I'd hate to get stuck relying on the same visual trappings for every project. In the Local Nomad Blog you said you consider “books as objects of art in and of themselves.” After having been in the industry for a while, do you still think this? And how do you see this guiding you through your career and evolution as a creative person? Ideally, yes, I still think of books that way. But in reality I usually only deal with the front covers - the rest is out of my hands. Most of the time the in-house design team does a great job putting together the full package, so it's not something I spend too much energy worrying about. In my dream job, I would have the time and resources to design every little detail of each book I worked on. But as a freelancer. I'm usually juggling about 15-20 projects at any given time, so once I get a front cover approved I'm off to the next one as quickly as possible. You mention collaboration as being important. Who would you like to work with and what on? And of course, the always-ubiquitous yet interesting question of, do you have a dream project you’d like to share with us? Due to the nature of publishing, every cover is already a collaboration between the designer, art director, editor, publisher, and author. In fact, I'm so dependent on collaboration that the idea of coming up with a solo project gives me a lot of anxiety! I need that kind of give-and take in order to focus. My wife (Sara Wood) is also a book cover designer, so we collaborate on a lot of projects as well. Our skills complement each other pretty well, and we always end up with results that neither of us could have reached on our own. If I had to choose a dream collaborator, it would probably be someone from a completely different field, like a musician, animator, a writer. I'd probably choose a short story author, since writing is something I've always wanted to do but have absolutely no talent for. I think I'd have a lot of fun creating pen-and-ink illustrations for a collection of weird stories by someone like Julia Elliott or Elizabeth Hand. Or even Soren Narnia, if he would ever agree to commercialize his work. There are many editions of American Gods with as many different covers. What prompted this current cover design with the prominent Eye of Horus? The Barnes & Noble's special editions print with foil on leather, so the available color palette is already fairly limited (2 or 3 foils + a colored leather background). In add to the color limitation, this particular edition involved a lot of cover copy (2 story titles + author name). Honestly, Neil Gaiman's name is the biggest selling point on this cover, and not many people are going to pick up a copy of American Gods without having at least a vague idea of what it's about. So during the sketch phase I decided to prioritize the lettering, and reduce any additional imagery to simplified icons. The plot involves a war between the mythical gods of the old world (Odin, Anubis, Bastet, Loki, etc.) and the technological gods of the new world (Media, internet, stock market). I wanted to find a very concise and effective icon to represent each faction. The Egyptian eye worked well to represent the Old Gods - it's arcane and mystical, but still very recognizable - while the circuitry radiating away from it represents the modern deities. Fitting these icons into the space around the word "GODS" only helped to reinforce the concept. I always enjoy finding ways to use imagery as ornament — that way I get to indulge in decoration while still honoring simplicity and concept. The Bad Food Bible is another example of what has been called Modern Vintage. Do you have any guiding design principles to produce this effect? The "modern vintage" look is one that I tend to slip into by accident because of the way I work. I get overwhelmed if I use too many colors, so I usually limit myself to 2 or 3. I like to draw my own imagery, since finding and licensing stock images is tedious and expensive. The same goes for lettering – drawing my own is usually quicker than finding the perfect typeface. These 3 methods help me work around my personal weaknesses, and also happen to be methods that were commonly used on book covers from the early 20th century due to printing and technology limitation. The tricky part for me is making sure the "vintage" is always balanced with enough "modern" to avoid full-on pastiche. Let’s change courses for a moment. I looked at “the store” part of your website. I think my favorite piece was Vinyl Comeback (where once again you are marrying the old with the new). Your work is offered for sale in various formats. Do you view yourself as an entrepreneur? And how necessary do you feel it is for artists/designers and creatives in general, to view themselves as entrepreneurial in the present market place? Hah! I'm lucky to have a busy freelance career, because I don't think I've sold more than 2 or 3 prints from my store. I don't really do a lot of work that suits the poster + print market, and a lot of what's for sale are just the sporadic personal projects I do whenever I have some free time. The vast majority of my entrepreneurial experience has come from full-time freelancing. The whole process behind forming an LLC, filing self-employment taxes, keeping track of invoices and expenses... That's been a HUGE learning experience that I've only recently begun to feel comfortable with. Anyone who does freelance work needs to have a baseline understanding of how to advertise, invoice, and file taxes. Build a website, make a spreadsheet, and hire an accountant. Any upcoming projects, designs, events, or exhibitions you’d like to highlight? Yes, actually! I spent the second half of 2016 illustrating the 75th anniversary edition of Edith Hamilton's Mythology. I did 10 full-color pages, and about 20 additional spot images. It's the first time I've been able to fully immerse myself in one single project for months at a time, and I enjoyed letting myself get obsessive with the details and textures. I used the opportunity to try out a lot of new drawing techniques, and I'm pretty happy with the results. The book comes out in September from Boack Dog & Leventhal.